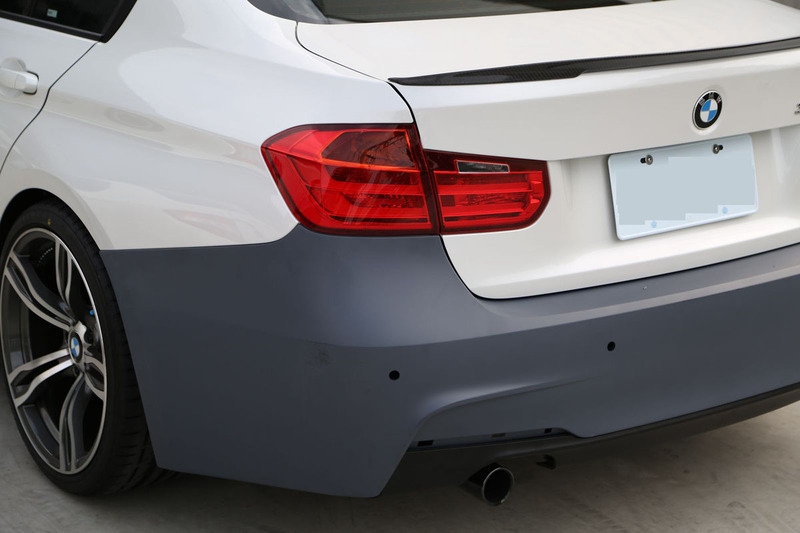 We’ve received tons of questions about the F30 M Sport style kit in regards to fitment have been inundated with requests for test fit pictures. At ModBargains, we take pride in the products we choose to offer, and do whatever it takes to ensure that every item we offer is up to the high standard of quality that our customers expect. Check out the results of our latest test-fit and let us know what you think! 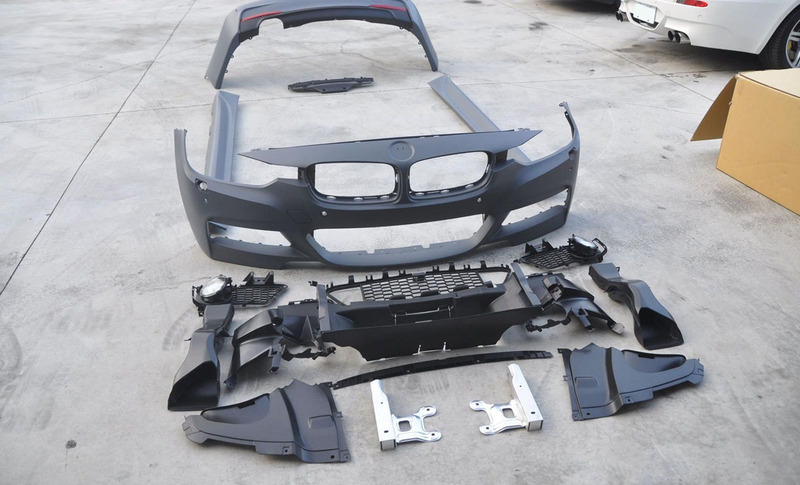 Here’s everything included in the M-Sport front kit for the F30. Check the fitment and the panel gap – fits nice and flush. 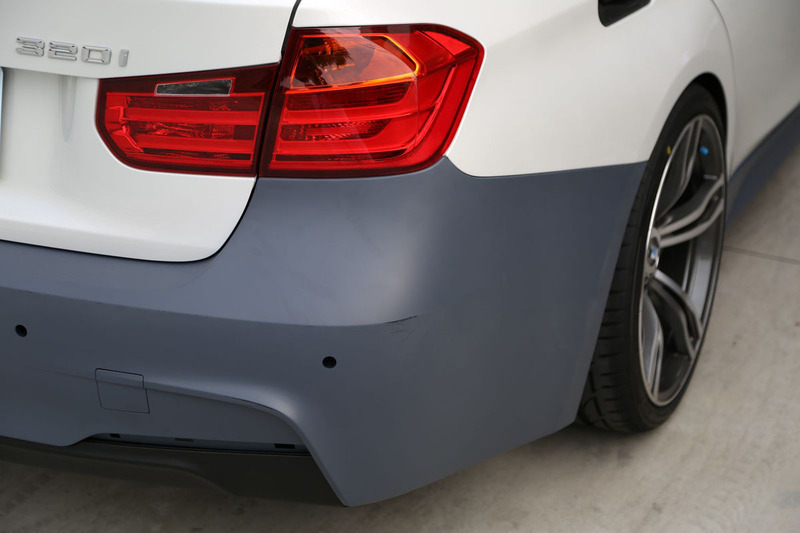 This bumper features cutouts for the PDC system, but is available with or without PDC. 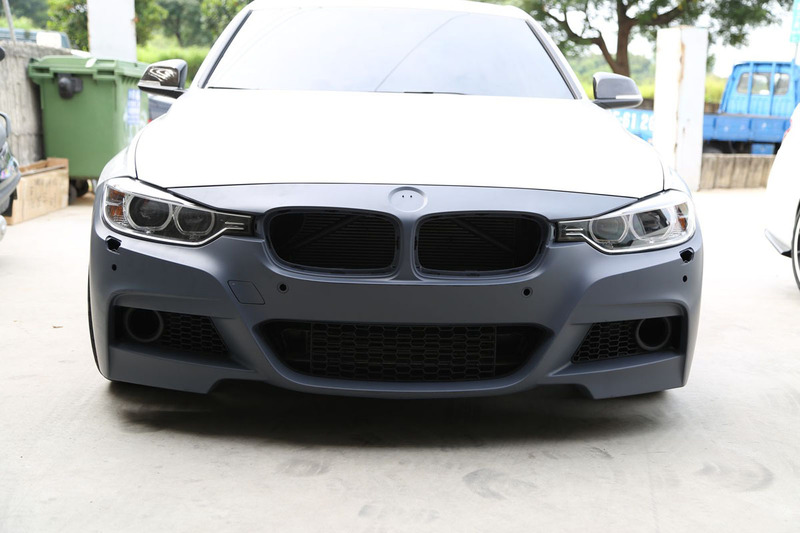 If your car is not equipped with fog lights, you will need to order the OEM Grilles that do not have the fog light rings. 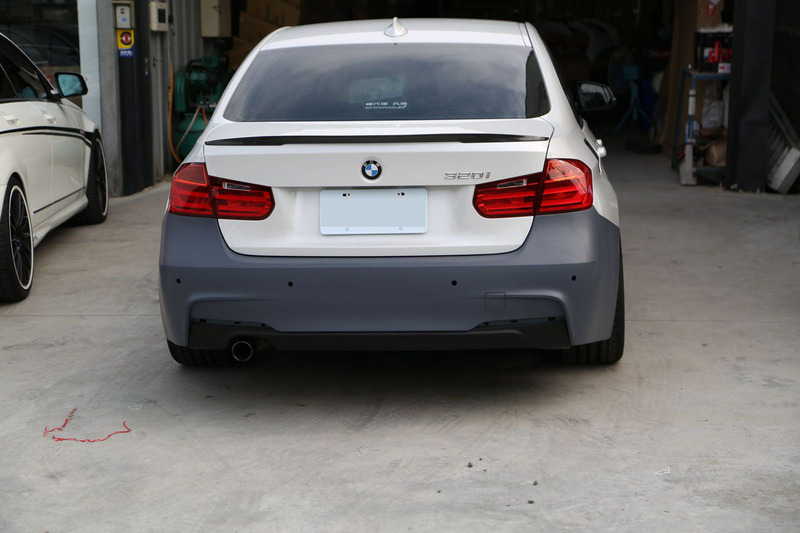 The M-Sport Style Rear Bumper body kit for the F30 fits well on our tester here, the panel gap is very tight. The sideskirts fit nicely as well. Rear view of the M-sport style kit. Even unpainted, the car is much more aggressive. 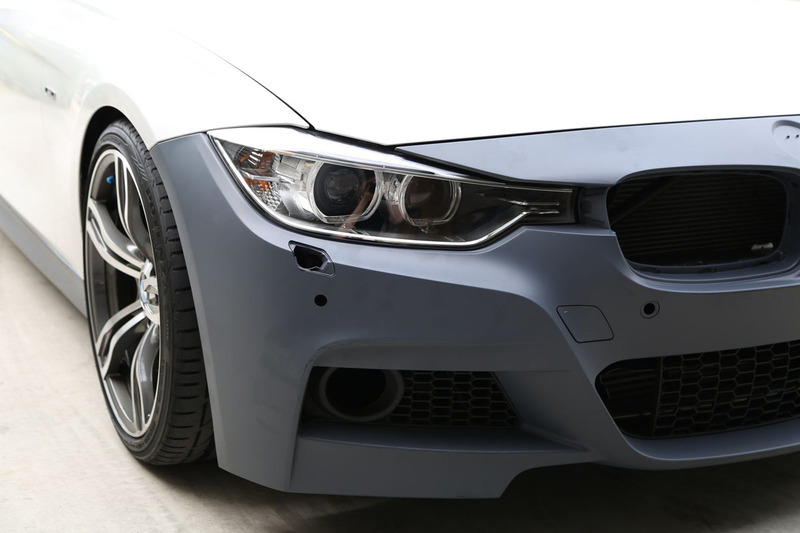 Interested in ordering the M Sport Style kit for your F30 BMW? What do you think – how’s the kit look? Let us know in the comments below! I m sorry for ALAN WEI cause I sent him an email twice about the Bmw f30 328i and he never answer me.